Today in Google Play Marker there are a huge number of different players app. But not all of them can boast of ease of use and good opportunities. 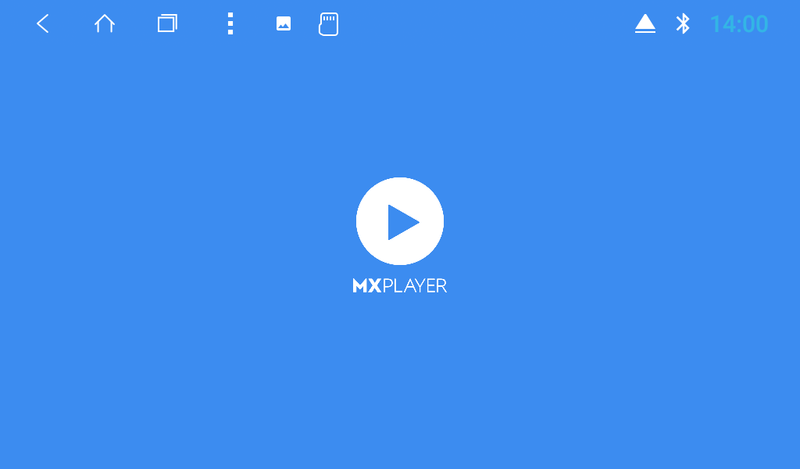 We present to your attention one of the best media players to date, MX Player. The first and most important advantage of it is the ability to play all media formats. Namely .3gp., Avi., Divx., F4v., Flv., Mkv., Mp4., Mpeg., Mov., Vob., Wmv., Webm., Xvid and others. 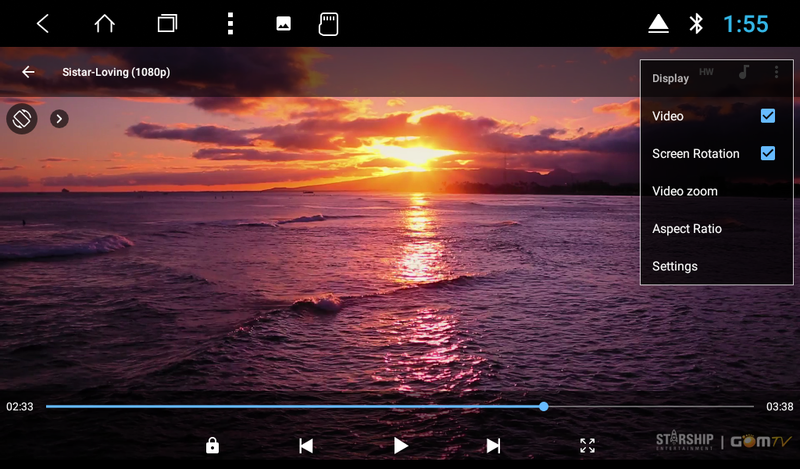 Basically, the program tests your device on its own, after which it offers the most appropriate video codec for your device. There is no need to download the codec in addition if MX Player has not notified you about it. The main menu is located in the upper right of the screen. Menu quick access to the section Screen. 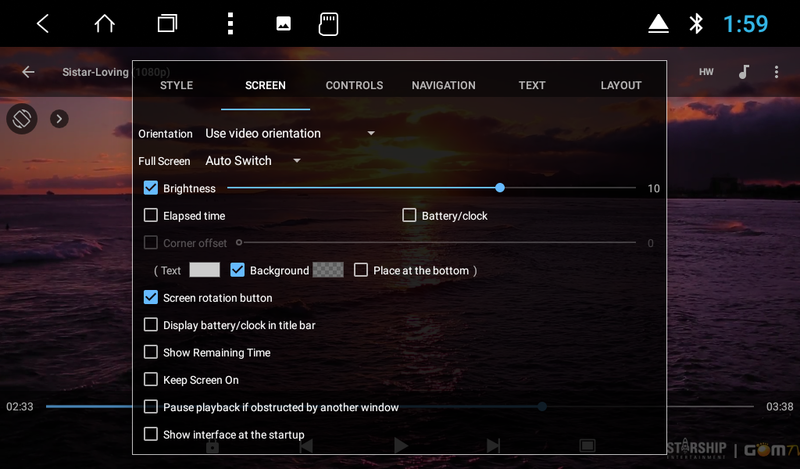 You can change such basic parameters as aspect ratio, scale and screen rotation. Let's have a look at this menu in more detail. Playback menu. Standard and well-known to all section, which displays basic data about playback, namely, speed, stop, turn of playback. The main menu in this player is the menu screen. The first section is all that is connected with graphic display in simple words in a style. 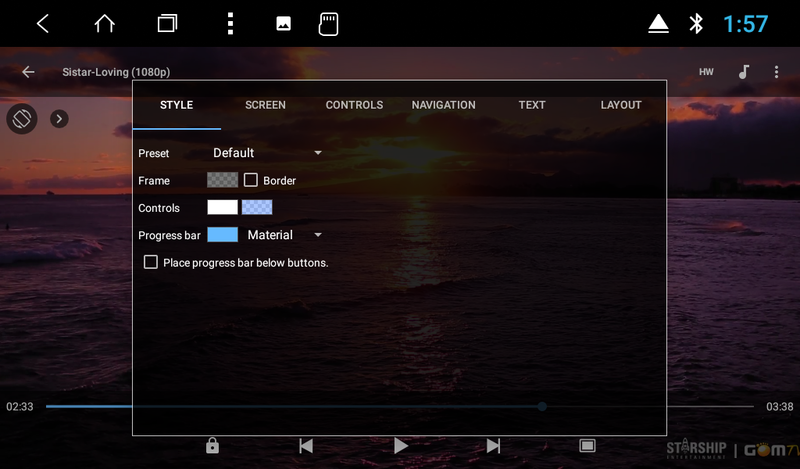 Namely: Preset, frame, controls, these sections can be edited. The menu screen is one of the key sections. Here you can adjust the brightness of the image, change the orientation of the screen. The remaining categories are auxiliary, such as, elapsed time, battery and clock, interface display at startup. These settings must be configured individually according to your preferences. A feature of this player is the management of their gestures here quite a lot. Rewind, scale, volume, brightness, playback speed and more. 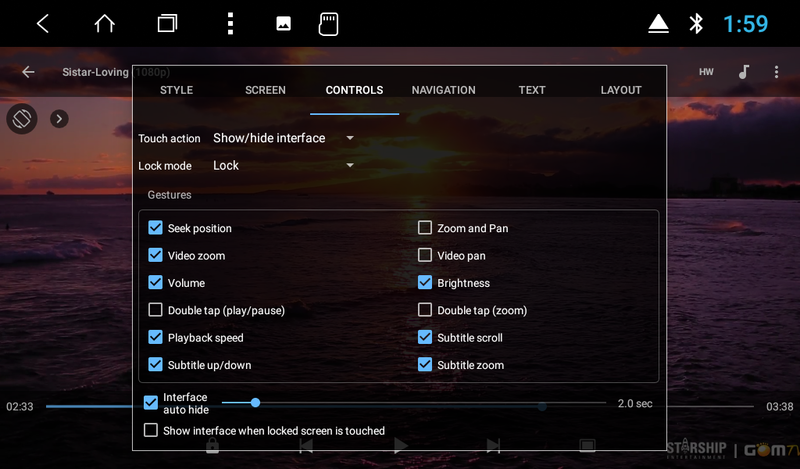 Thus, there is no need to enter the main menu to change these parameters. 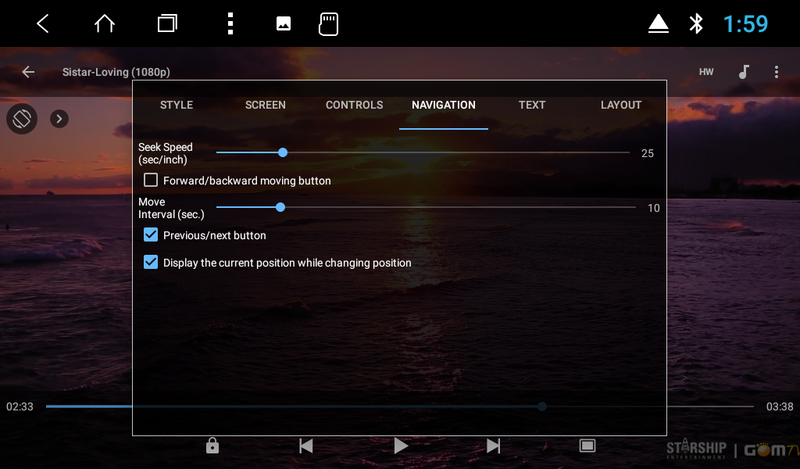 The navigation section includes the rewind speed, step interval, display of the current position when rewinding. We do not recommend making changes to this section. 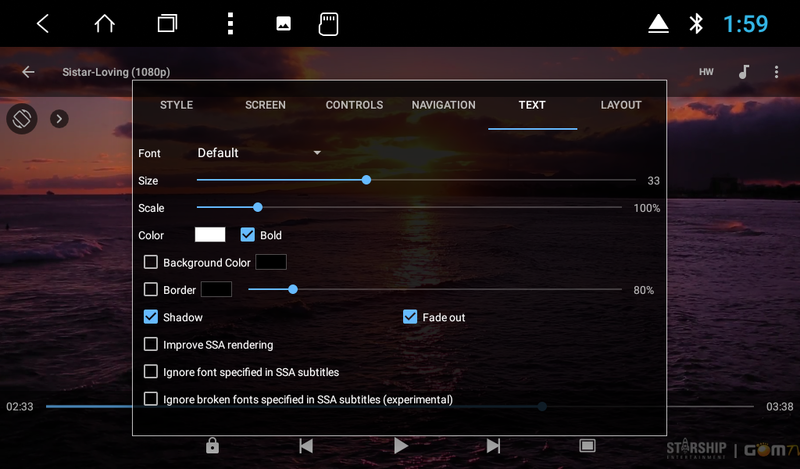 This player supports subtitles, but in addition you can adjust the text of these subtitles, namely: font size, scale and color, background color and border. 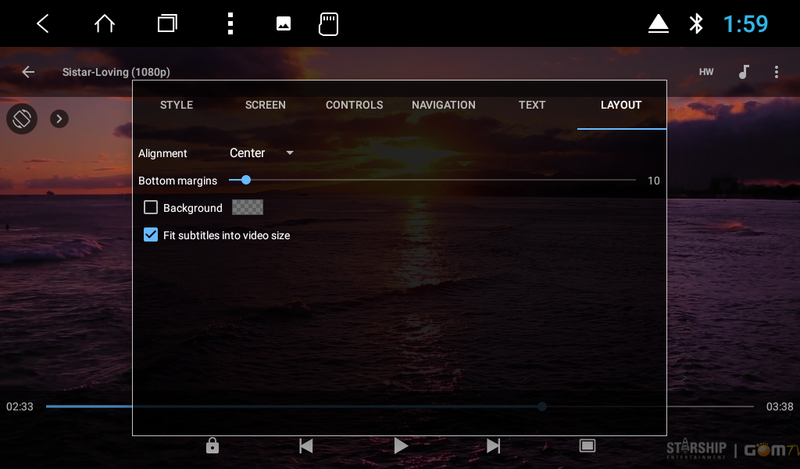 In the style section you can change the location of the subtitles and their background. The audio section allows you to synchronize the audio track and video, change the audio track, select the stereo mode (if available). The tools section, you can rename the file, set a sleep timer, and also activate the lock. The help section you can find answers to frequently asked questions, check for a new version of the program, and also get acquainted with the features of the program.